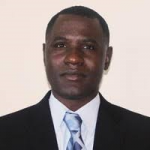 Delroy the Managing Director and Senior Editor for FiWEH Life for more than 10 years. He is also a temporary writer who published a short story called The Red Myths: Beyond the Future and the Past. Besides his work on FiWEH Life, he also is the creator and a writer for the Jamaican animated series "Fareign Yaadies" on YouTube. Delroy currently resides in Japan with his family where he chronicles his many experiences and passion for infotainment.